When a wedding is inspired by a unique theme how can wedding invitation card get untouched from it? The invitation card is an important part of a wedding. 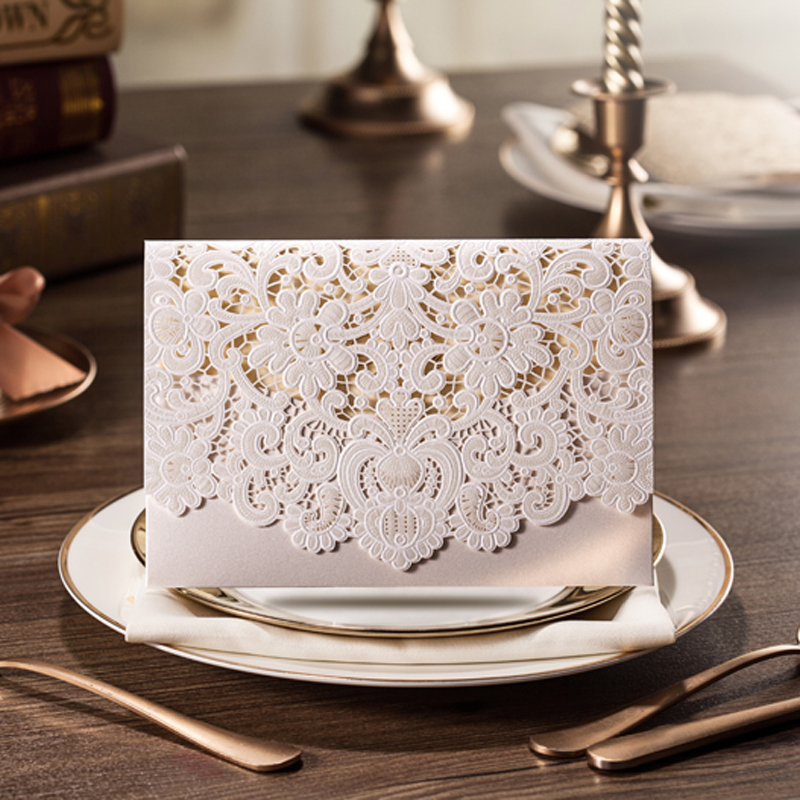 The invitation card is like emanation for a wedding which explains your whole person and an idea into the mind of wedding guests so that they will get keen to know what is more unique in the wedding? 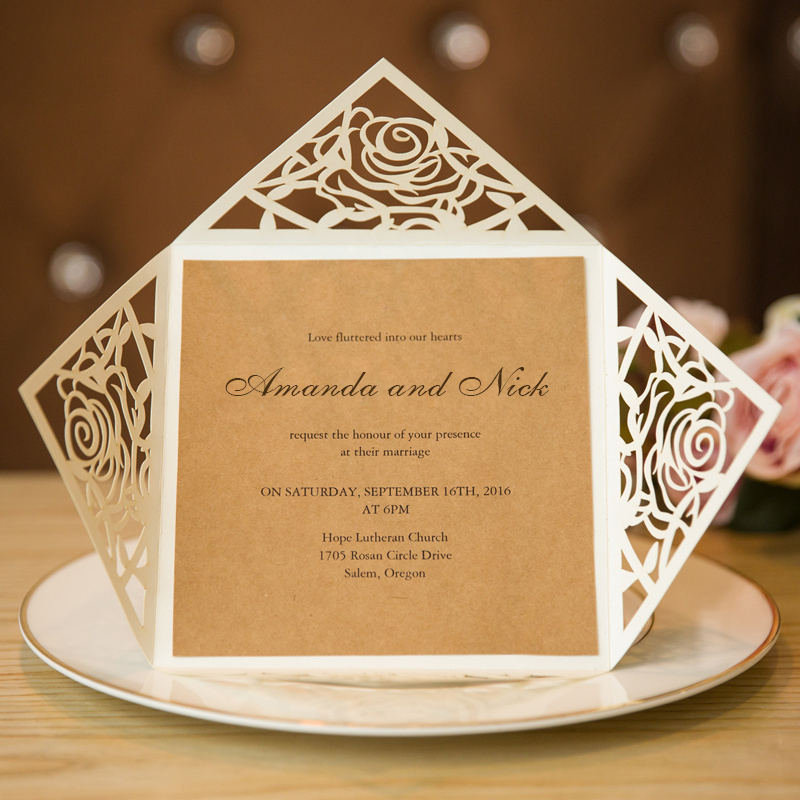 Dreamz wedding planner explains here some trendy theme inspired wedding card for an exclusive wedding. 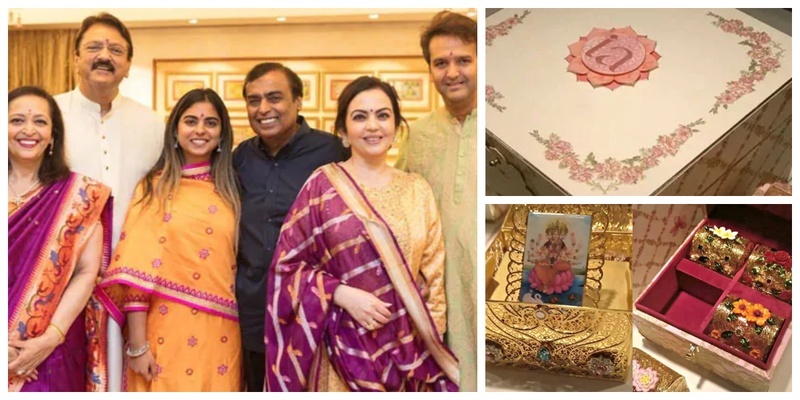 After the fairy tale engagement with Anand Piramal in Italy for 3 days Isha Ambani stunned the world with royal wedding card which cost Rs 3 lakhs !! 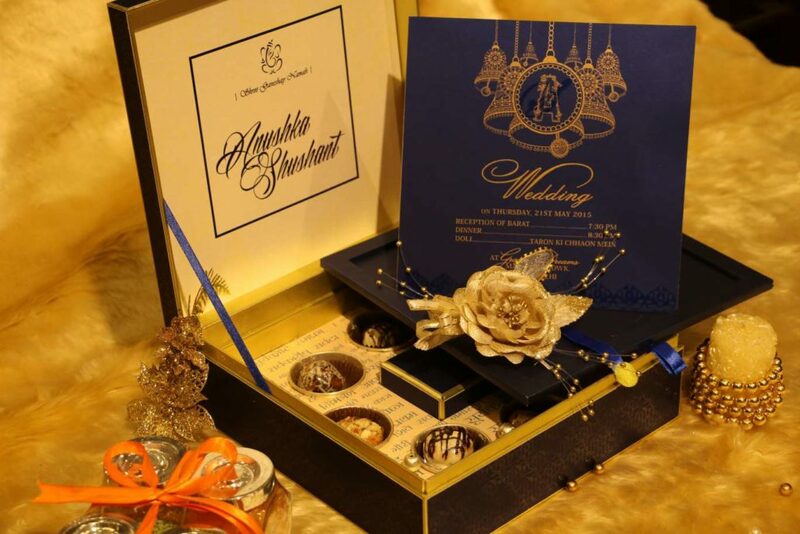 Of course, she stunned the whole world as she is the daughter of Mukesh Ambani, But apart from this the wedding card engrossed with some unique theme as it is an exquisite expression of values, culture, and tradition. The wedding card is very thoughtful in each layer as there is handwritten an emotional note by Isha. 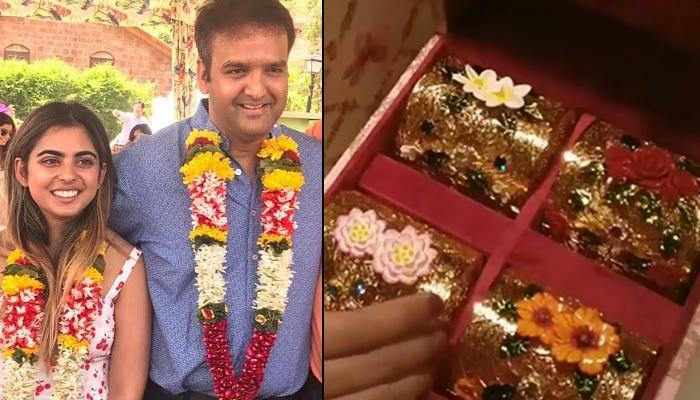 Both the couple dedicated flowers to their Grandmothers who are a role model for them, Lotus to Kokila Maa, the Hibiscus to Purnima Nani, the Rose to Lalita Dadi and the frangipani to Aruna Nani. 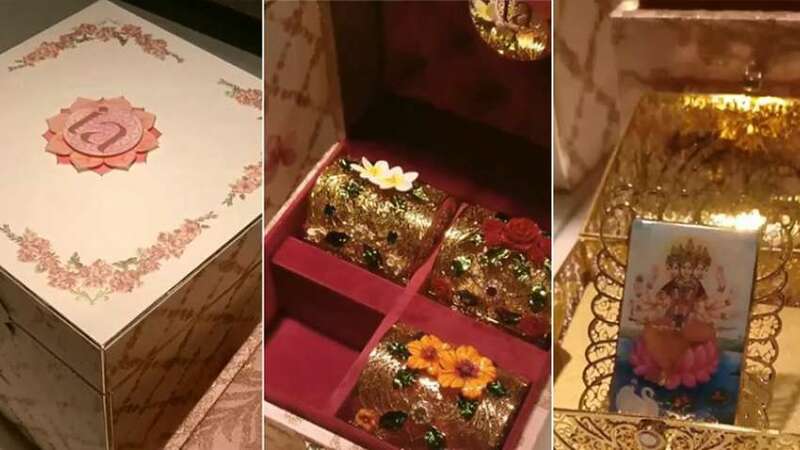 It shows the respect, love and attachment for the elders, the family bond and their tradition, also the wedding card involves picture of Gayatri Maa and the box is embossed with pure Gold embroidery, it tune Gayatri mantra while open the invitation box card, What an expression and presentation of emotions in an organized way! 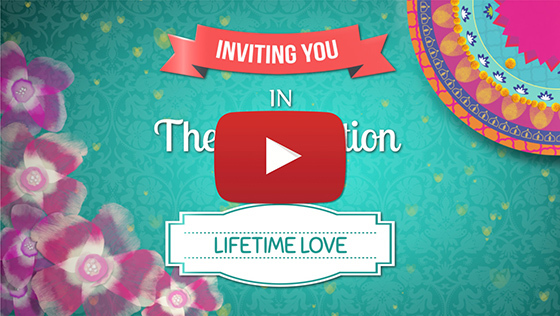 It is not just about the invitation, It is about your dream love journey which is about to begin. Boxed invitation cards and Unboxed invitation cards are getting more popular these days. 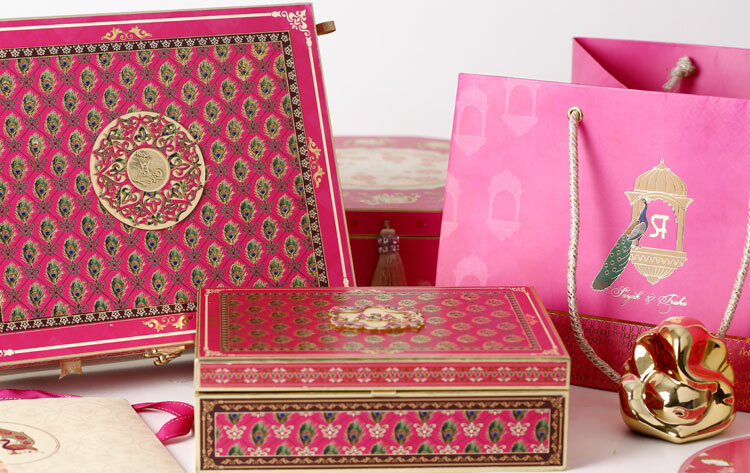 Boxed loaded with lots of goodies, sweets, dry fruits, chocolates you can customize it with your own desire and according to the wedding destination theme, for example, royal for Rajasthan, love symbol Taj Mahal for Agra destination wedding. 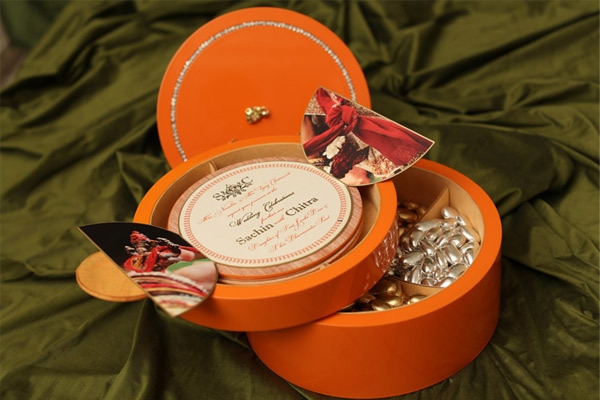 Even unboxed design which is carried in a half basket, loaded with goodies are also catching the attraction of many wedding couple. You can add your personalized note, music, mantra according to your theme and tradition. 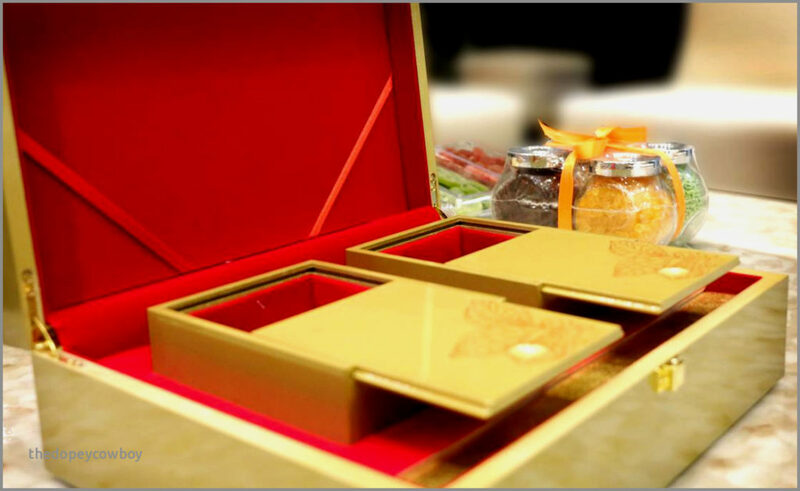 Dreamz wedding planner presents the Moments collection boxes with satin covering inside to make your wedding memories forever. Fun and very practical approach in today’s digital world wedding couples prefers digital E-Invites to invite their relatives and friends. Even celebrities like the idea of e-invites, send an invitation card in just one click. Many couples are using the digital medium to invite their wedding guests like they prefer facebook page/ Instagram account, hashtag their wedding and do updates on it, make a video teaser on youtube or making a vlog of their wedding journey to attract the mass. IT IS NOT JUST A CARD DESIGN! Yes!! it is true. It is not just a card design. 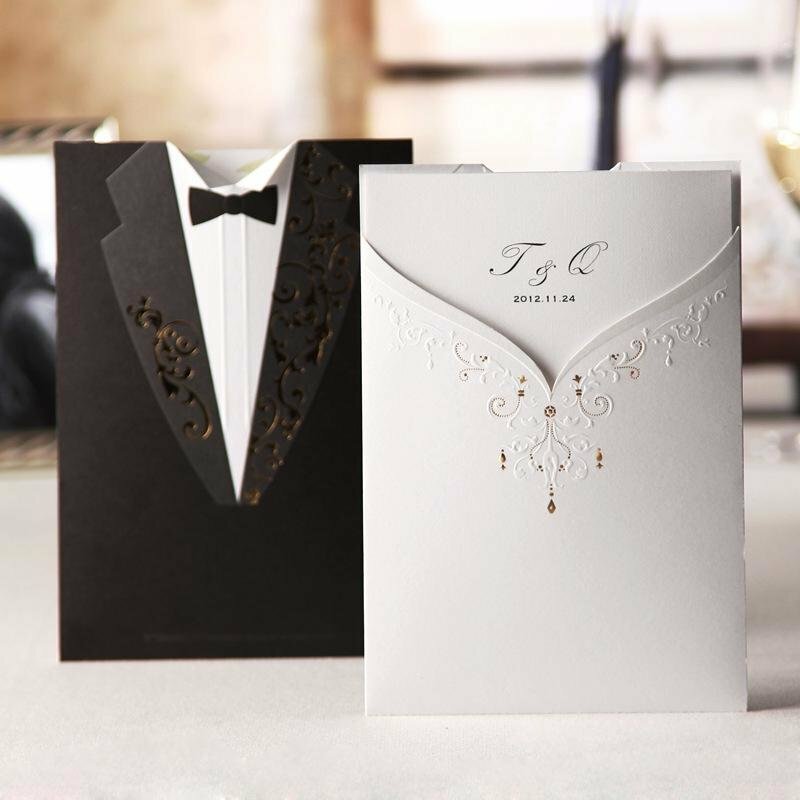 In regular wedding cards, wedding couples want to match their grand wedding with the invitation card. 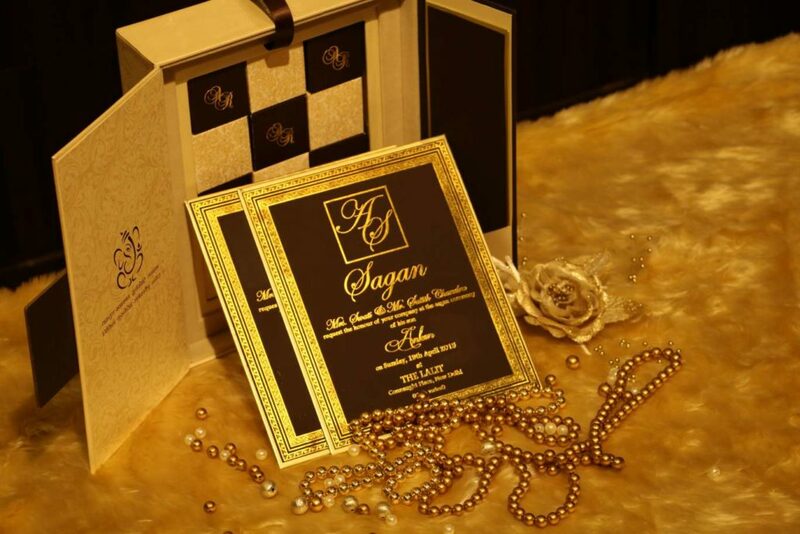 There is a huge variety of invitation card design available in the market like crafted card, glamorous shining gold cards, musical cards, Laser cut cards, signature cards and many more, Dreamz wedding planner do the research on wedding cards, pick out the best expert and design the card for their client according to their dreams and desire. 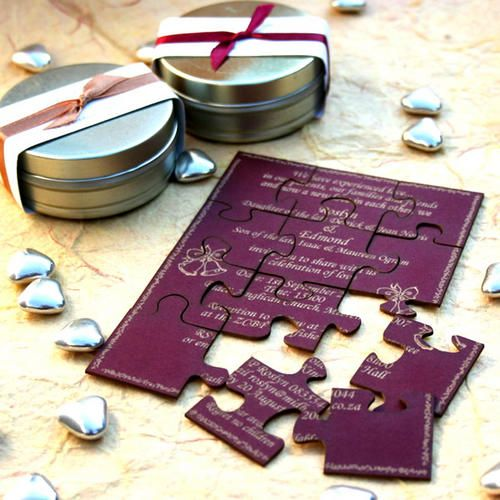 Invitation card conveys the hearty message to all wedding guest on your behalf, so it is not just a card, it is a grand start of your love journey. 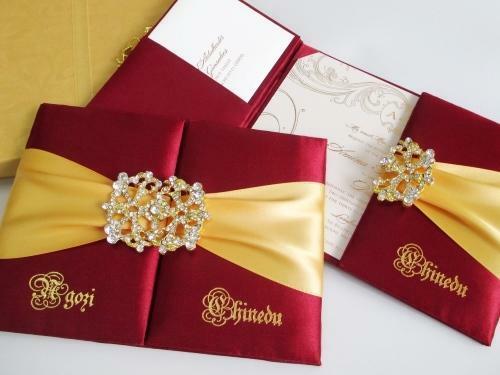 Dreamz wedding planner suggests choosing a wedding invitation wisely, smartly and thoughtfully. What is trendy for a wedding? how to arrange a destination wedding know these answers in our blogs.